One of the more interesting personnel moves in front of the Dallas Cowboys this offseason involves receiver Allen Hurns. He had a disappointing first year in Dallas, and his contract creates the opportunity for significant salary cap savings. But is the situation really that simple? Our last sight of Hurns was his awful season-ending injury in the Cowboys' playoff victory over the Seattle Seahawks. Despite how ugly it was at the time, the recovery period should allow Allen to return for at least the start of the 2019 preseason. However, Dallas got the entire regular season to see what Hurns could do. Even before Amari Cooper showed up in Week 9, Allen had never really emerged as the team's top WR despite being the highest-paid. In the seven games before the Cooper trade, Hurns only had 13 catches for 158 yards and one touchdown. The Cowboys had hoped that Hurns would fill the void created by Dez Bryant's release, but he was barely a factor on the offense for almost half the year. Once Amari arrived, Hurns was relegated to fourth on the depth chart behind Cole Beasley and Michael Gallup. From that point until the playoffs, he was only targeted eight times. The second year of Hurns' contract would count $6.25 million against Dallas' salary cap. That would be okay if he was a bigger part of the offense, but there's little sign of that coming based on last season. However, due to Allen's postseason injury, the Cowboys can't just make him a typical salary cap casualty in the next few weeks. He would need to be medically cleared before then and that may not happen until August. Therefore, they wouldn't get that cap space to use during the primary free agency period in March. In this case, though, Dallas has an atypical solution. Though it was not heavily reported at the time that Hurns was signed last year, the second season of his two-year deal came with a team option. With a team option the Cowboys have all the power. Officially, Allen is set to be an unrestricted free agent in 2019 unless Dallas exercises their option by the end of the current league year. All the Cowboys have to do is nothing and Hurns, injured or not, will be completely off their hands. His scheduled cap hit will be totally removed without any dead money. Unfortunately for the player, this cruel reality appears unavoidable. Dallas has no justifiable reason to pick up that second year based on anything that occurred last season. There is a chance that Dallas could let him become a free agent and then re-sign him to a more equitable contract. If neither Beasley or Tavon Austin are re-signed, the Cowboys might consider using Hurns as the third receiver and playing Cooper out of the slot. But even then, many would rather see Noah Brown get more opportunities if Dallas goes with an internal option. 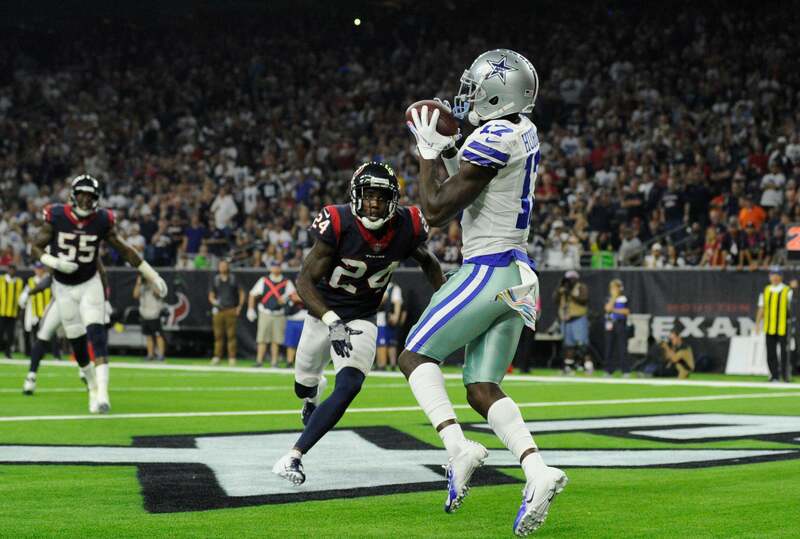 Still, it's not guaranteed that Allen Hurns won't play another game for the Dallas Cowboys. However, it's almost certain that it won't be on his current contract. Dallas will likely let him become a free agent, and we'll see what happens from there.